New car sales in Spain soar 20.2% year-on-year in January to 102.152 registrations, the first six-digit figure for the month since 2008 and the highest since the all-time record of 116.434 in 2007. Once again though, private sales trail the market with a 15% gain to 53.262 and 52.1% vs. 54.5% a year ago whereas company sales are up 27.5% to 32.670 and 32% vs. 30.1% and rental sales up 24% to 16.220 and 15.9% vs. 15.4%. The Top 3 best-selling carmaker all outpace an already galloping market: Volkswagen surges 34% to 8.7% share above Seat up 31% to 8.4% and Peugeot up 31% to 7.4%. Opel is back up 8 spots on December to #4 but down 6% year-on-year, Toyota is up 6 spots and 12% to #5 and Renault up 48% but down 5 ranks on the #1 ranking it held both in December and FY2017. Hyundai (+76%) posts the largest year-on-year gain in the Top 20 followed by Skoda (+65%) while further down Jeep (+125%), Ferrari (+100%) and Tesla (+100%) also post spectacular improvements. 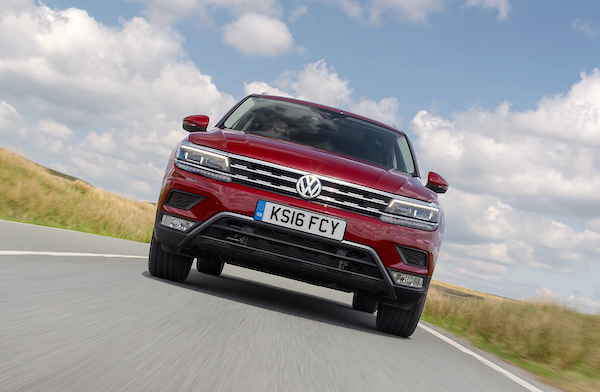 …while the VW Tiguan breaks its ranking record at #6. 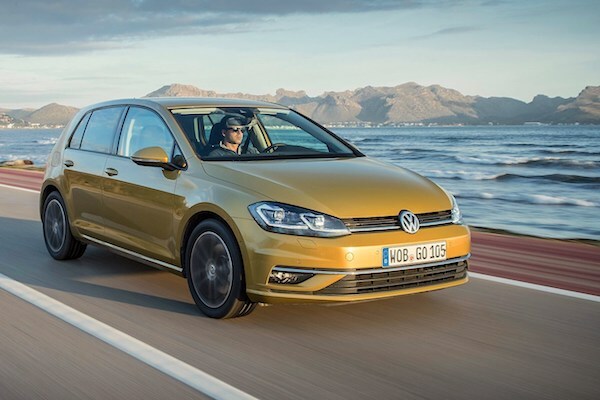 The VW Golf is up a splendid 53% year-on-year to become the best-selling car in Spain for the first time since December 2016, ending the month just 30 sales above the 2017 leader the Seat Leon (+36%) while the Dacia Sandero (+28%) rounds up the podium. The Seat Ibiza is in difficulty at -9% ahead of the Nissan Qashqai (+11%) while the VW Tiguan soars 40% to #6, the nameplate’s highest ever ranking in Spain beating the #9 hit in January 2015, and the Peugeot 2008 is up 42% to #7. The Seat Arona is up a further 7 spots on December to an all-time high #22, the VW T-Roc is up 32 to #67, the Range Rover Velar up 24 to #119, the Skoda Karoq up 70 to #139 and the Mitsubishi Eclipse Cross up 42 to #141. Finally we welcome the BMW X2 at #124 for its first month in the Spanish sales charts. Full January 2018 Top 43 All-brands and Top 295 All-models below.